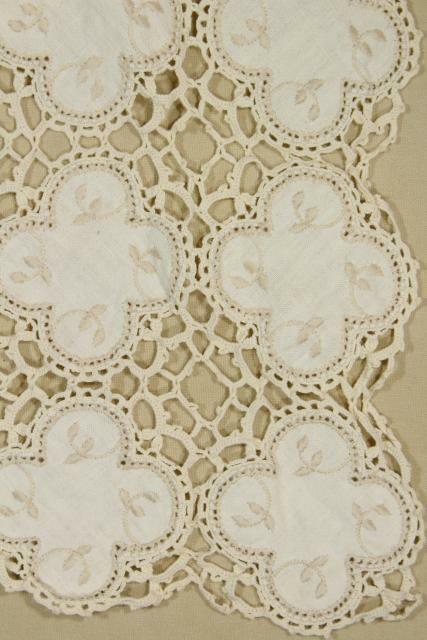 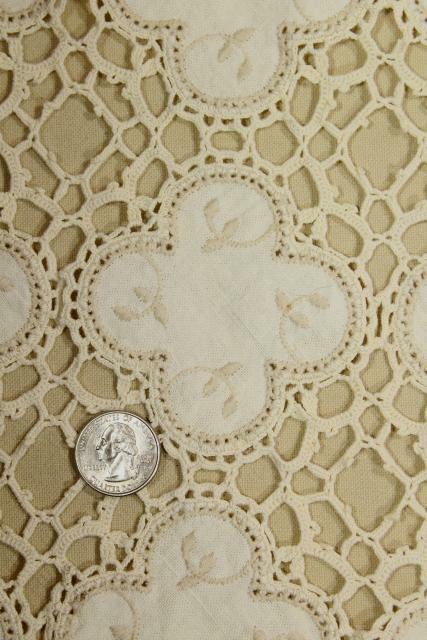 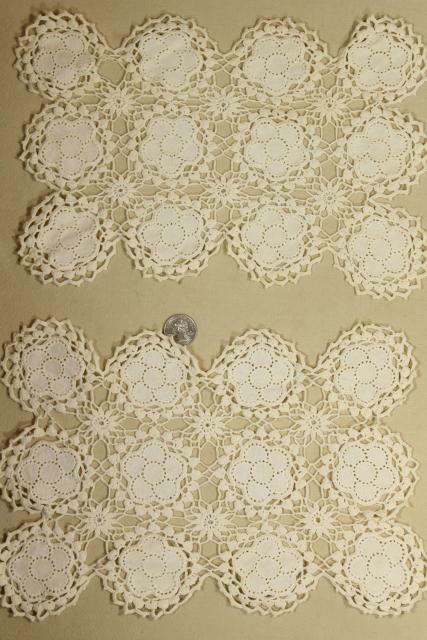 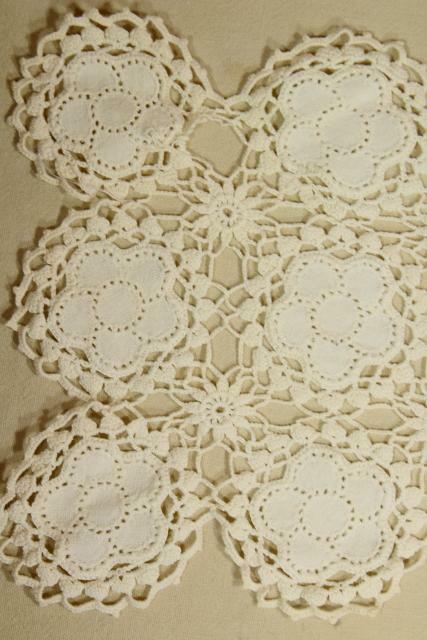 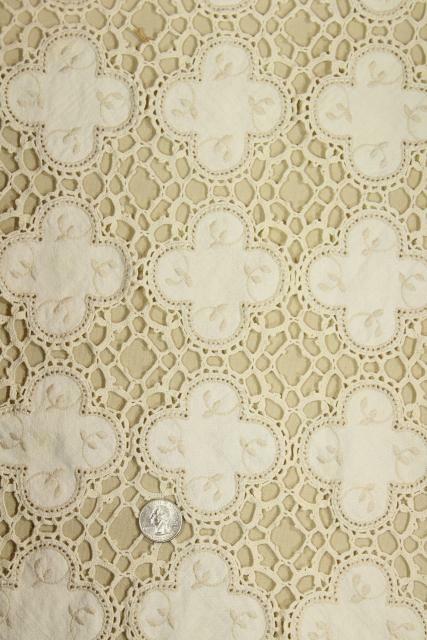 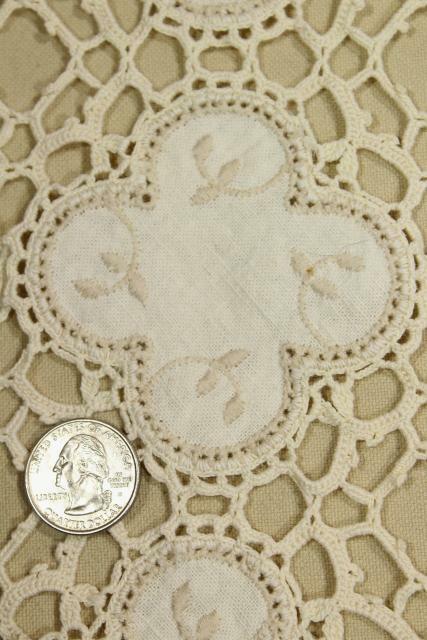 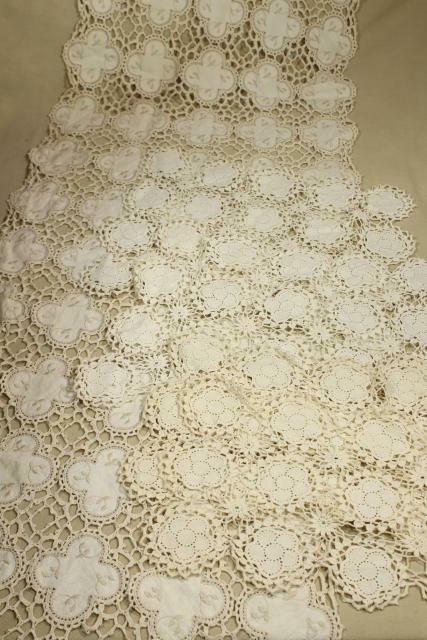 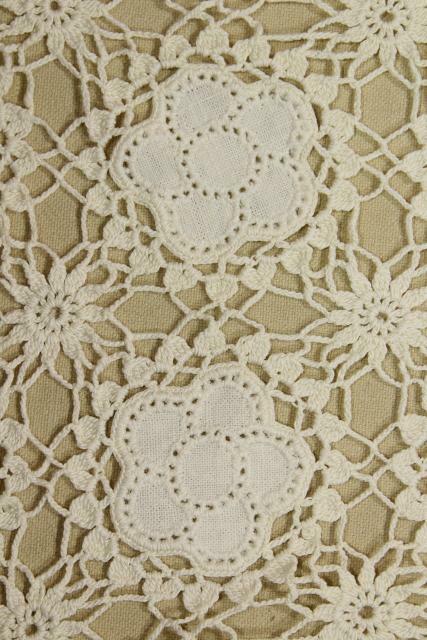 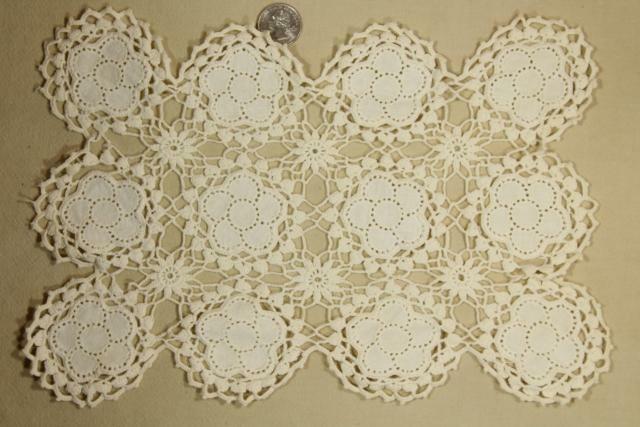 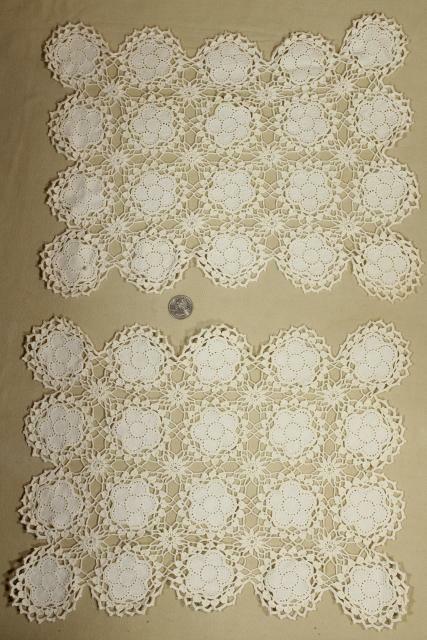 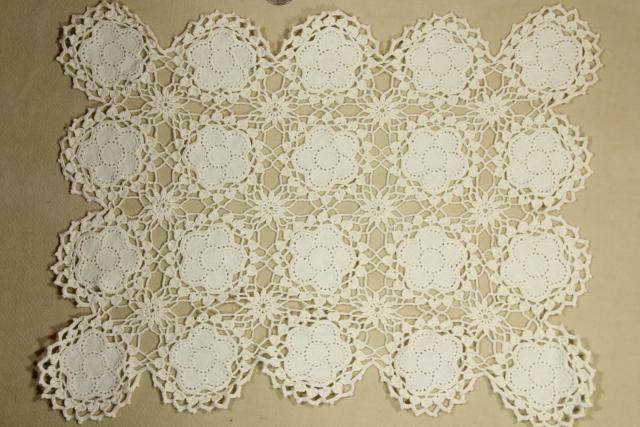 Beautiful early 1900s vintage table mats and runner, pure linen fabric rounds joined with crochet lace. 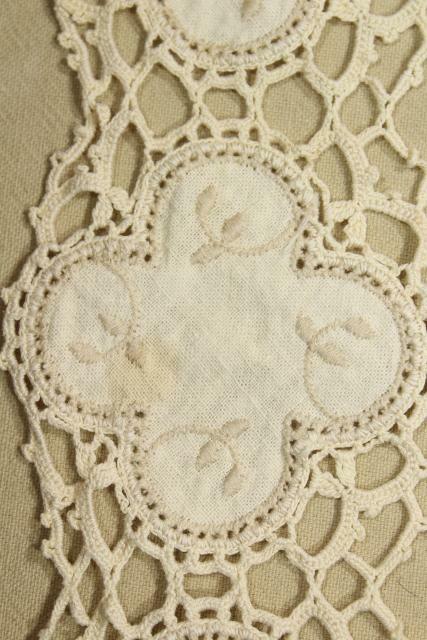 These have very little spotting or staining, we think they've probably never been used. 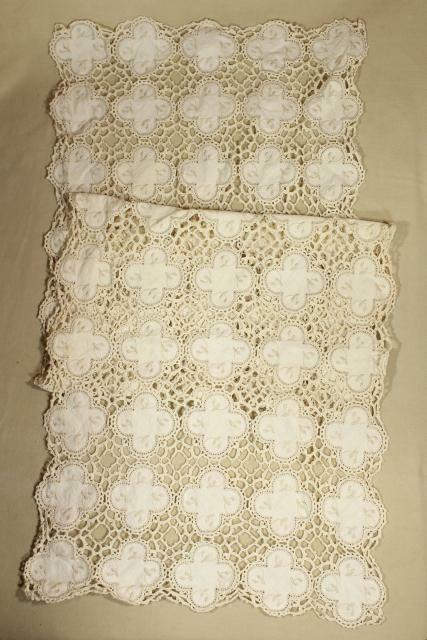 There's two place mats 8" x 12", and two place mats 12" x 15". 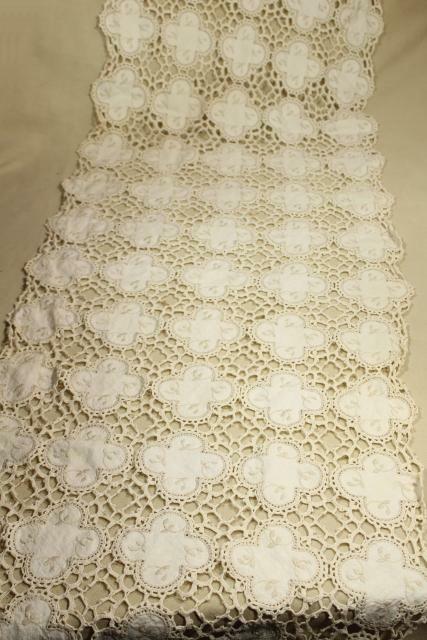 The table runner is a different pattern, but of the same technique - it measures 18" x 52".